Various laws in Maryland apply to personal injury lawsuits. Every person who has suffered a personal injury caused by someone’s negligence should learn about Maryland’s statute of limitations, its cap on how much compensation a person is allowed to recover, fault and liability rules and more. What constitutes a personal injury in Maryland? A personal injury arises when a person is caused to suffer injury to his or her body, mind or emotions by a person or entity through negligence, gross negligence, reckless conduct, or intentional misconduct. As the name suggests, a personal injury is not an injury to property. Statute of Limitations for Personal Injury? If you have suffered from a personal injury due to a car accident, you may be wondering how much time you have to file a claim and how much compensation you may be due for your injury. Below are a few basic laws to help you better understand your rights if you suffer a personal injury because of someone else’s wrongful act. The statute of limitations is a law in which a state or the federal government has established the amount of time that a person has to file a lawsuit against another person or entity for injuries arising out of an accident. In Maryland, in most cases involving personal injury, the statute of limitations is three years from the date when the incident occurred. You must keep this deadline in mind as you go through the various stages of your personal injury case. You must leave plenty of time to file a lawsuit if negotiations with the responsible party or the party’s insurance company for a settlement fall through. If you fail to file a lawsuit within the three-year statute of limitations period, your claim for compensation arising out of the accident will be forever barred. See: MD Cts. & Jud. Proc. § 5-101. A claim must be filed within three years from the date when you knew or should have known of the negligence, or five years from the date when the injury was committed, whichever is earlier. You have three-years to file a lawsuit, but, prior to filing, you must send a “claim letter” to the Treasurer’s Office within one-year from the date when your incident occurred. You have two-years from the date when the incident occurred to file suit. However, before filing a lawsuit in federal court, you must first file a claim or complaint with the agency directly in control of the employee or premises responsible for your injury. Currently, only 12 states have no-fault insurance systems. With this type of insurance, an injured party does not need to pursue legal claims for their injuries or damages against the driver who caused the accident or the driver’s the insurance company. The policyholder(s) (you) are covered regardless of who is to blame for the accident, which is why this insurance is called “no-fault”. The remaining 38 states, including Maryland, have “at-fault” vehicle insurance. These states are known as tort states. 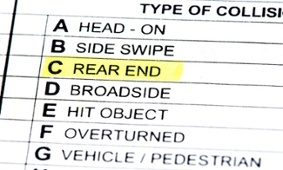 Under the at-fault system, the operator (and possibly the owner of the vehicle) that caused the accident is responsible for the injuries and damages to the other people involved in the crash. Filing a claim against the at-fault driver’s insurance policy, which is a third-party insurance claim. Filing an underinsured or uninsured claim under your own vehicle insurance policy. Filing a personal injury lawsuit against the driver who caused the accident in which you were injured. There are times when one or more people are to blame for an accident. Sometimes, even the person most injured bears some responsibility. Many States allow for fault to be apportioned among the people involved in the accident. This is called “comparative negligence”. A simple example of comparative negligence would be an accident where it was determined that you were 20% at fault. The rule of Comparative negligence would still allow you to recover 80% of your damages. However, Maryland does not recognize comparative negligence. Instead, Maryland is one of the last States still applies “contributory negligence”. It means that if you are found be 1% at responsible for an accident, you are barred from receiving ANY recovery. Let’s say you were driving five miles per hour faster than the posted speed limit when a car turns left in front of you, causing your vehicle to collide into the side of the other vehicle. Under the rule of contributory negligence, if your speeding is determined to have contributed in any way to the accident you will be barred from collecting any money from the other driver. Since any degree of fault on your part is enough to bar your claim, you would get nothing even if the other driver was driving 50 miles per hour faster than the speed limit. Some states have capped the amount of money someone can recover for certain types of damages, such as non-economic or “pain and suffering” damages. Maryland is one of those states. The Maryland cap on non-economic damages for car accident and non-medical malpractice claims can be found at Maryland Courts and Judicial Proceedings Article § 11-108. Non-economic damages include pain and suffering, loss of marital enjoyment, and loss of emotional support. These caps increase on October 1st every year by $15,000 to reflect the rate of inflation. Visit Code of Maryland – Transportation Article for additional transportation and vehicle laws.